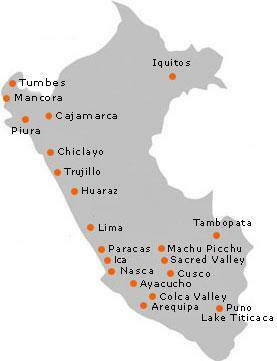 - NASCA and PARACAS . - LAKE TITICACA, the world"s highest navigable lake. - AREQUIPA, the white city and the Majestic Misti volano. - CHICLAYO, The Lord of Sipan, the golden tomb. - MANCORA, The Northern Beaches a warm blue paradise.